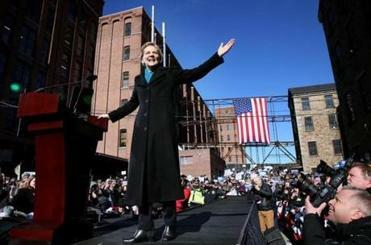 Senator Elizabeth Warren had her presidential campaign kickoff Saturday in Lawrence. LAWRENCE — It may be too early for most Democrats to know which candidate they will back, but they do know what they want in a candidate. And that was something US Senator Elizabeth Warren failed to address in her presidential kickoff Saturday. This was just the latest poll showing that attribute is more important than having the right experience, or being progressive, or being on the right side of generational change. A number of announced and potential 2020 presidential candidates are already making a case for why she or he is best positioned to beat Trump. In New Hampshire Friday night, Senator Sherrod Brown noted that he has consistently won all corners of that ultimate swing state, Ohio. Former New York City mayor Michael Bloomberg boasts he has the money to run a serious campaign and proven crossover appeal — he first got elected mayor as a Republican, after all. Former vice president Joe Biden pitches his connection to the white working class that rejected Hillary Clinton, particularly in key states such as Wisconsin, Michigan, and Pennsylvania, where he grew up. Senators Kamala Harris and Cory Booker are trying to lay claim to the Barack Obama coalition of minority voters, Hispanics, and white liberals. 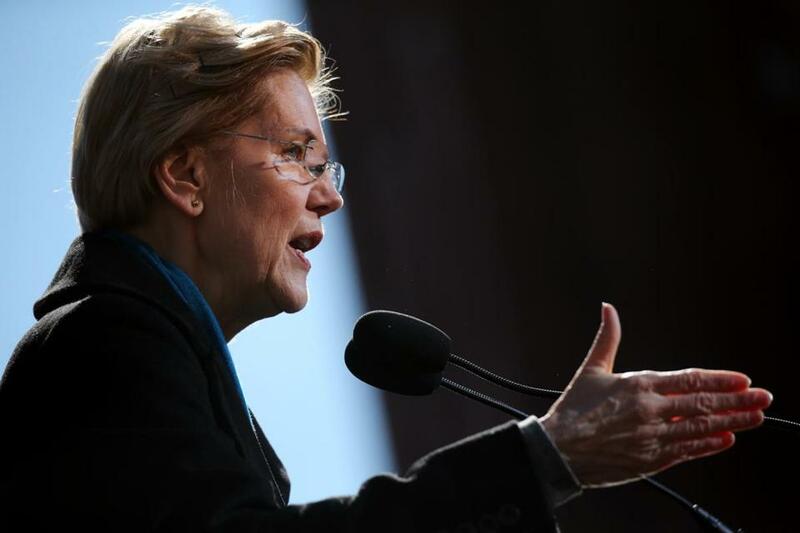 Speaking in Lawrence, Warren began her campaign by recognizing the women who had gone on strike there more than a century ago, connecting themes of labor rights, immigration, and gender to her own campaign. Even fellow blue state female senators Amy Klobuchar and Kirsten Gillibrand are quick to note they vastly outperformed other Democratic candidates in their home states over the years. But so far, Warren has not offered a unique argument as to why she can best beat Trump. And the most recent disclosure about her identifying as Native American just reinforced doubts about whether, tactically, Warren can put up the best fight against Trump. The entire saga — from Trump’s derogatory nickname for her, to the controversial release of her DNA test, to her Texas state bar registration — has Democrats worried the claims to Native American ancestry will weigh on Warren as the missing e-mails did on Hillary Clinton’s campaign. While Warren’s large margin of victory in the 2018 Senate race was impressive, Governor Charlie Baker won by even more at a time when Democrats had the wind at their backs. Warren’s case to voters is her up-by-the-bootstraps biography, her consistency on issues, and a persistency bordering on the relentless. The words “fight” or “fighting” appeared 28 times in her speech in Lawrence. But compare that with the last Massachusetts Democrat to announce a presidential run against a sitting Republican president. In 2003, Senator John Kerry chose for his announcement not the reliably blue Massachusetts, but the red state of South Carolina, and stressed his military service during a time of war by using a US Navy ship for a backdrop. What is different from 2003 is the word “electability” means different things to different voters. After all, Trump sure did not seem very electable at the outset — given his background and experience, flip-flopping on issues and coarse language. Trump, of course, was elected. And Kerry was not. It’s possible the lesson Warren took from both races was to not dwell too much on the topic. And given that US politics has been so unpredictable in the last three years, maybe Democrats should not dwell so much on electability, either. James Pindell can be reached at james.pindell@globe.com. Follow him on Twitter @jamespindell. Click here to subscribe to his Ground Game newsletter on politics.